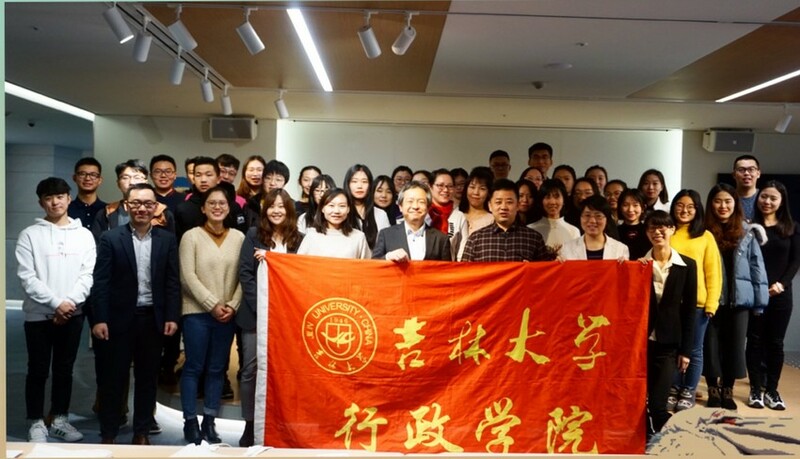 On December 18, 2018, the student delegation from Jilin University composed of nearly 40 people and headed by the Vice President Mr. 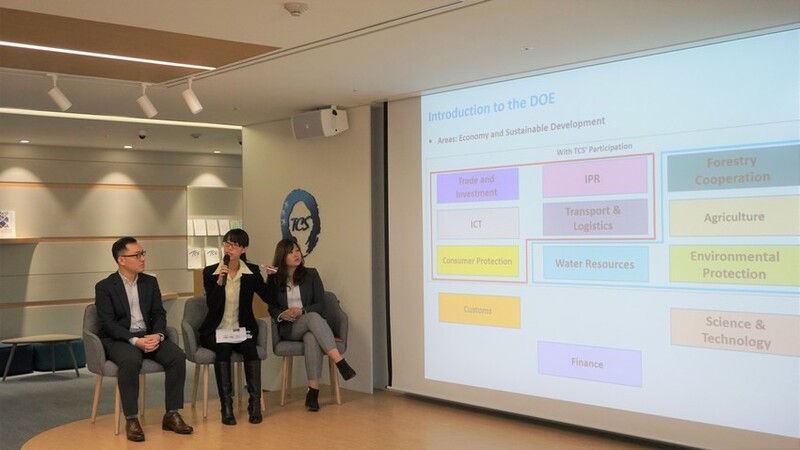 FAN Bin, School of Public Administration, visited the Trilateral Cooperation Secretariat, and held discussion with TCS staffs. Ms. QIAO Wen, Director of Economic Affairs Department, and Mr. NAGAFUCHI Kenji, Director of Socio-Cultural Affairs Department, met with the delegation. Director QIAO iterated the great cooperation relation between the Jilin University and the TCS. This July, TCS delegation headed by TCS Secretary-General LEE Jong-Heon visited the University. 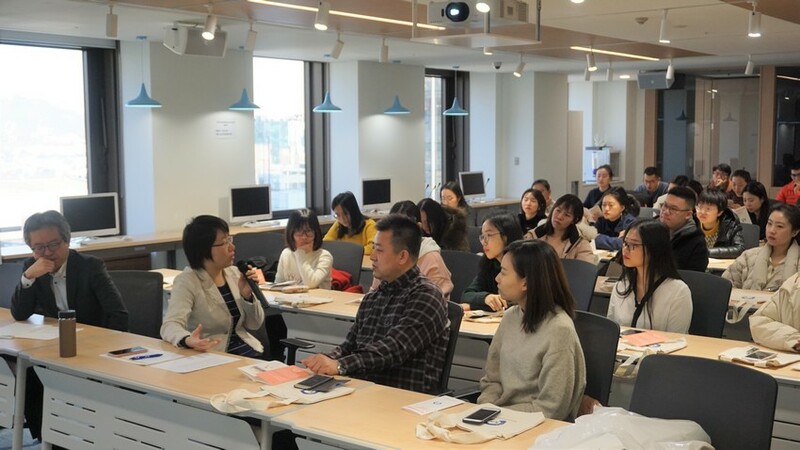 Jilin University is one of the Chinese universities participating in the CAMPUS Asia program, who has made great contributions to trilateral cooperation in education, people-to people and cultural exchange. Youth is the future of a country. It is hoped that the students can continue enhancing their exchange with their Japanese and Korean peers for more contributions to trilateral cooperation. Director NAGAFUCHI mentioned that he once worked at the Consulate General of Japan in Shenyang, and he has visited Changchun before. He learned about Jilin University back then, and he hoped all students could devote themselves to trilateral cooperation and make great efforts towards it. TCS staffs from the Departments of Political, Economic and Socio-Cultural Affairs delivered presentation on the history of trilateral cooperation, TCS’s organization history, mandate, working areas and activities to the delegation. Students then had an interactive session with TCS staffs and discussed questions of their interests in areas of youth exchange, trilateral and regional economic cooperation, environmental protection, and common culture among three countries, etc. The students expressed their strong interests in TCS work and their hope to get more insights about the TCS, as well as being more involved in trilateral cooperation among China, Japan and the ROK. The youth is the future of Trilateral Cooperation, and the TCS always firmly supports trilateral cooperation in youth exchange. The TCS will continue its efforts to generate momentum for future-oriented trilateral cooperation.